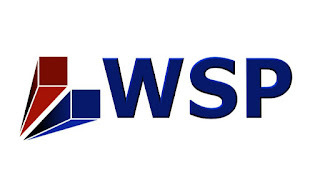 We are seeking for a passionate Corporate Administrative Assistant of WSP Group’s Corporate Head office annex. The perfect candidate will have exceptional organizational skills, attention to detail, and the ability to prioritize accordingly. As an Administrative Assistant, you act as the key contact for the Group and are a main resource for general administrative inquiries or information. With 3-5 years of administrative experience, you have expertise in managing high volume corporate calendars; arranging detailed travel requests; preparing professional corporate communications; compiling detailed reports and overall support for various team members in a support role to ensure that administrative aspects are performed accurately and in a timely manner. We are technical experts and strategic advisors including engineers, technicians, scientists, architects, planners, managers, surveyors and environmental specialists, as well as other design, program and construction management professionals. WSP develops creative, comprehensive and sustainable engineering solutions for a future where society can thrive. With 36,000 talented people in more than 500 offices across 40 countries, we engineer lasting solutions within Property & Buildings, Industry, Transportation Infrastructure, Environment, Resources (including Mining and Oil & Gas), Water, Power & Energy sectors with delivery and strategic consulting services. At WSP, we continuously innovate and make extraordinary efforts to always attract, employ, develop, engage and retain the best professionals in our fields of expertise because this is what makes us great. We offer a professional working environment and culture and believe that work/life balance is critical to the success and happiness of our people. WSP offers competitive salary packages based on qualifications, skills, experience and the opportunity to be part of an “up and coming” player in the lucrative international construction / engineering market. We also attach residential Accommodations to our International employees and welcomes applications from people with disabilities. If you’re Interested to work with us, kindly forward your recent CV and cover letter through WSP’s career email or job apply button displayed below. Acts as key contact for the department portion of the company Intranet site; maintains various corporate documents and corporate leadership work group site. Support the preparation of construction project scope of work, drawings, tenders, estimates, bids and project documentation as required.